Click HERE to have us create a JOB-winning resume for YOUR career change! From our base in Central Florida (USA), we have been providing job-winning resume writing services to clients from around the world for YEARS. If you're ready to take your career in a new direction, hire our team of experts to develop a DYNAMIC resume that is GUARANTEED to impress potential employers. For just $139.95, our writers will provide you with a resume personalized toward your unique career situation within just 2-3 business days or less! Rush services are also available for those with interviews already lined up in the next day or two! To view our entire menu of services and prices, click here. 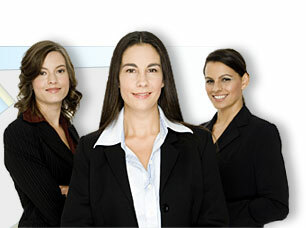 Career-Change-Resumes.Com is one of the ONLY sites SPECIALIZING in career change advice, tips, and resumes. Our contracted writers will work to identify your unique qualifications and then tailor them toward a new job market. Over the last decade, we've helped THOUSANDS of clients successfully launch their new careers! Hire us to help YOU! At Career-Change-Resumes.Com, we are so confident in our skills, that we encourage you to SEND US YOUR RESUME for a FREE review. Within 1 business day, we'll e-mail you our feedback AND an editing sample. Click here for more details. ©1997- Career-Change-Resumes.Com. All content displayed on this site was designed or licensed by our company and may not be reproduced without our written consent. Free resume samples and evaluations are provided to prospective clients via email at NO charge. Every client is assigned a unique ID# for continuous access to our staff via telephone, email, or online service center. All resumes, cover letters, and CVs sold by Career-Change-Resumes.Com are created only by experienced resume writing professionals. Our clients are GUARANTEED job interviews within 30 days. In the unlikely event that they are not interviewed, we'll revise their new resume at no additional charge.